This year's Starker Lecture Series showcased one of the most iconic tree species in the Pacific Northwest: the Douglas-fir. 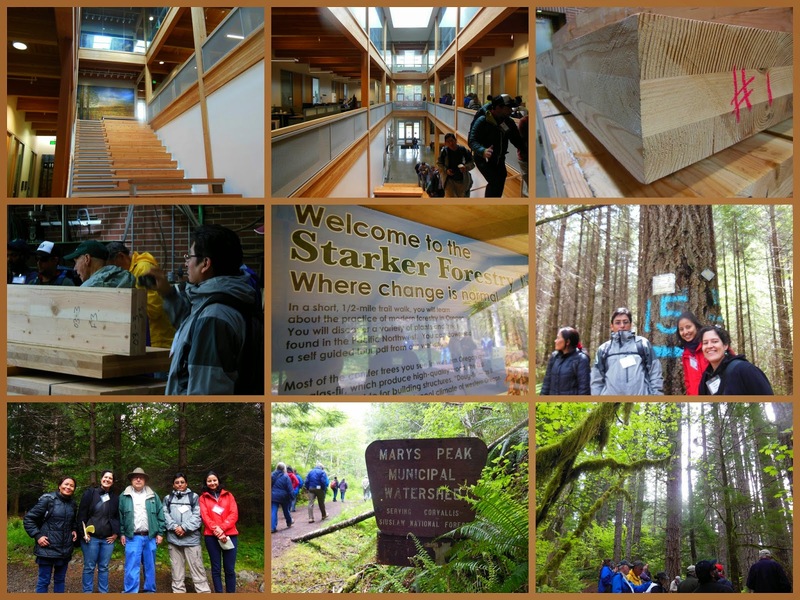 The tour helped participants to better understand the life cycle of Douglas-fir, how the species is actively managed in a native forest plantation for timber (Starker Forest), provides a wide range of environmental services (US Forest Service Siuslaw National Forest), how is it processed in a local mill (Georgia Pacific, Philomath), how it is tested when designing new products like Cross Laminated Timber (CLT) (OSU College of Forestry Wood Science and Engineering Lab), and how it's finished lumber was used for "green building" on the OSU campus. (Hallie Ford Center). 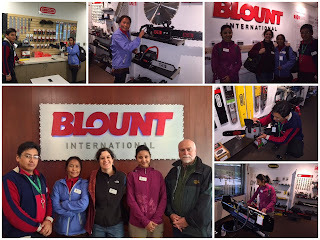 During this field trip we learned about Oregon Department of Forestry (ODF). 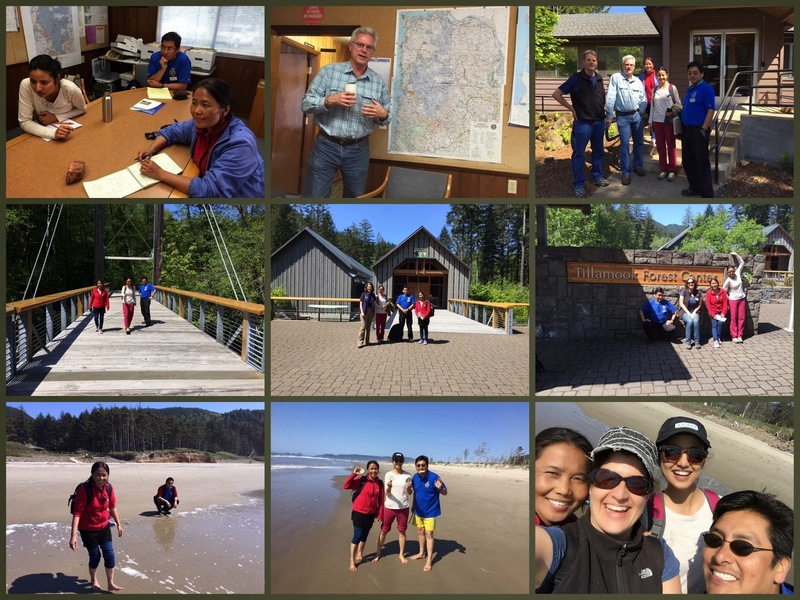 ODF is divided in three departments: Fire Protection, Forest Regulation, and State Forest Management. The Fire Protection Department focuses on forest fire prevention and management for State Forests, private land owners, and other agencies that hire them to fight fires in their land (i.a. Bureau of Land Management, and US Forest Service). The Forest Regulation Department provides guidance to private forest owners on how to comply with regulations when managing their land. The State Forest Department manages the state forests (4 percent of Oregon forests) by implementing a 10 year Forest Management Plan. The implementation is done in yearly operation plans to achieve the greatest permanent value of the forest, meaning to account for economic, environmental, and social benefits. Economical benefits are derived mostly from timber sales ($ 70 million/ year), from which 34 percent go to manage the State Forest Department, and 66 % to county services (i.a. schools). We also stopped at the Tillamook Forest Center (TFC). The TFC works as ODF outreach arm, teaching the public the importance to manage the forest, including cutting it down. 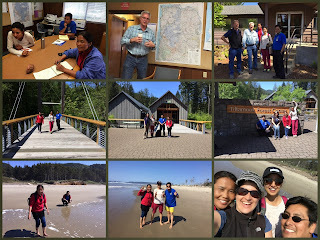 At the end of the day we were so close to the Oregon Coast that we went to Cape Lookout State Park for a beach stroll to enjoy the recreational benefits that state parks provide to the community. 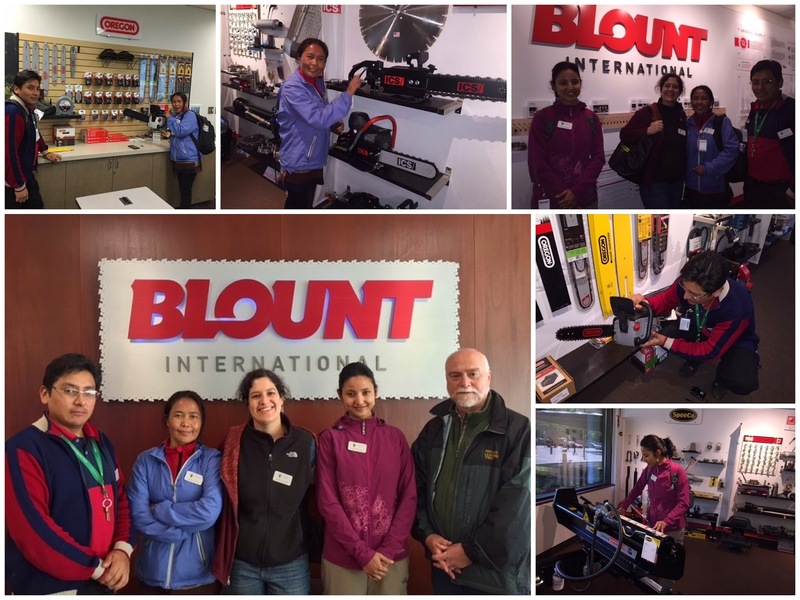 Blount Inc is an international corporation with headquarters in the Portland area, with five production plants around the world located in Canada, Brazil, China, and two in the USA. It has two main lines of products: Forestry, Lawn, and Garden (FLAG), and Farm, Ranch, and Agriculture (FRAG). It is a very diversified and vertically integrated company that operates under ISO 9001 standards. The Portland plant employs 1,100 people with a 50/50 ratio male/female. The plant that we visited produces almost solely chain from 1/4" to 3/4" width, about 25 miles of chain a day. The material used in the manufacturing process is steel, it can come in bricks or in rolls of different widths. The steel rolls are fed into machines that cut and bend each one of the pieces that later are assemble into a chain. The process uses a lot of energy (approx. $150k monthly electric bill) and oil to lubricate the process. Ninety percent of the oil is recycled. Chisel type chain was design in bio-mimicry of Timber Beetle Larva teeth.